Margaritas are one of my favorite drinks. I just love the flavor, but then again, I’m a huge fan of citrus. These Lime Margarita Cookies with Tequila Glaze add a whole new dimension to your cookie baking repertoire. One caveat – these lime margarita cookies aren’t for the kids. They have booze in the glaze, and are better for adults. If you wanted to make them kid friendly, you could omit the tequila. These cookies are a great addition to our Cinco de Mayo festivities, too. These cookies are really easy to make, but no one needs to know that. The Lime Margarita Cookies are a variation on the classic slice and bake cookie that we all grew up with. You do want to use a good quality tequila that you like to drink in the glaze. Beat the softened margarine and sugar on medium until it becomes light and fluffy. Add in the egg, while continuously beating. Continue mixing until all ingredients have been thoroughly incorporated. Slowly begin adding the flour and salt. Add about 1/4 c at a time. Divide the dough into 2 equal parts and roll each into a log. Wrap the dough log in wax paper and refrigerate for 1 hour. Remove cookie roll from the refrigerator. Roll the cookie roll onto a sheet of wax paper covered with sugar. Make sure the complete roll has been covered in sugar. Slice the dough into even pieces placing them on a ungreased cookie sheet. Bake at 350 degrees for 15 minutes or until edges just start to brown. Cool completely on a baking rack. Mix the powdered sugar, and tequila in a bowl. Add 1/2 tsp of water at a time to get a nice loose consistency that drizzles nicely. Drizzle glaze across cooled cookies, and allow to set before serving. 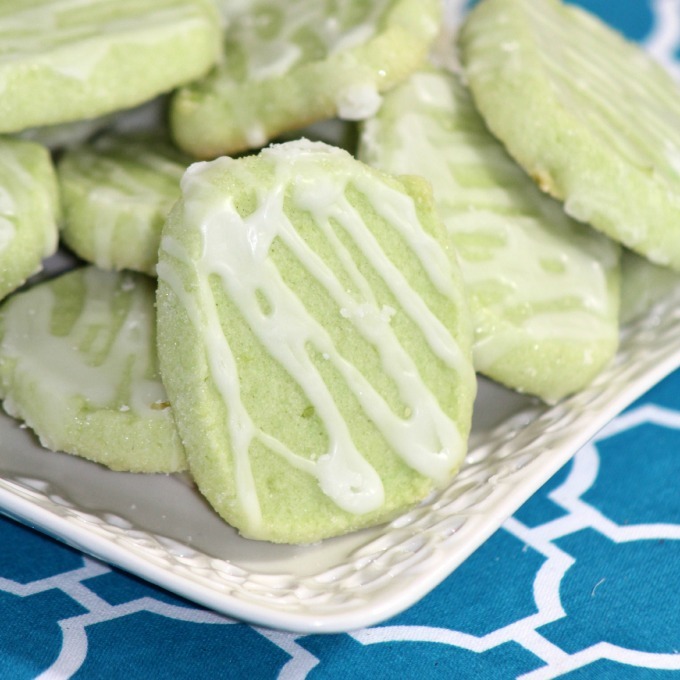 If you wanted to make these lime margarita cookies non-alcoholic, you could sub in some lime juice or even orange juice for the tequila in the glaze. If using lime juice, I’d use 1/2 tbsp lime juice and 1/2 tbsp of water. 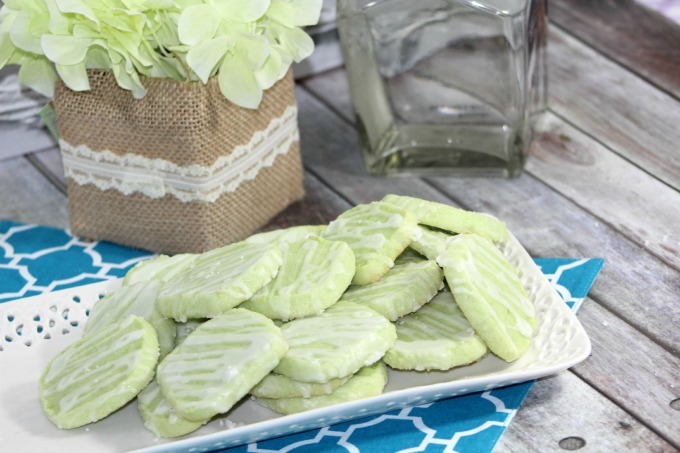 See how easy it is to make these Lime Margarita Cookies with Tequila Glaze?